I wish that this was in fact a true “e-book” (iBook?) and not just a pdf. For example, there is a great list of existing resources on the NGSS, however, the resources are not hyperlinked (hello!) and therefore requires the reader to hunt down the links. 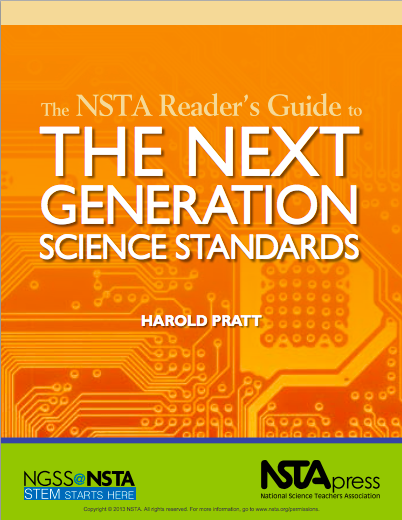 NSTA could have created a very dynamic and user friendly tool with embedded video and links.. but they didn’t. Audience: This resource would be useful for district curriculum directors, science coordinators, science professional development providers, and teacher leaders.. anyone who is planning to make a plan on how to implement the NGSS. Please let me know your thoughts if you grab a copy.